The Mediterranean by Armin Greder is a wordless picture book about repressed people who flee their homes by sea in search of peace only to encounter inhumane treatment and death upon attempted relocation. Though the bulk of the book is wordless, there are seventeen words on the very first page. These seventeen words are aligned to the middle right of the page and read thus: "After he had finished drowning, / his body sank slowly / to the bottom, / where the fish / were waiting." A pretty dark start to the book, not to mention a strong indicator of the tone. The illustrations go on to show the fish being caught by fishermen and served as food to a warlord, who starts a war and forces refugees to flee on a boat, which ultimately sinks to the bottom of the ocean, full of its own lifeless bodies. The afterword by Alessandro Leogrande goes into far more detail about the events behind the book, and they only make what we see even more haunting and poignant. As a wordless book, the illustrations obviously carry the weight of the story, and it feels like all the heaviness of the book is immediately transferred right to our shoulders as we read it. We can't ignore what we see in this book, and it shines a harsh spotlight on the fact that most wars are started for profit and countless lives are lost in the process. The charcoal illustrations are muted throughout most of the book with rare exceptions, and the dark choices allow for a wide variety of tones throughout each spread, ranging from sinister to anonymous. 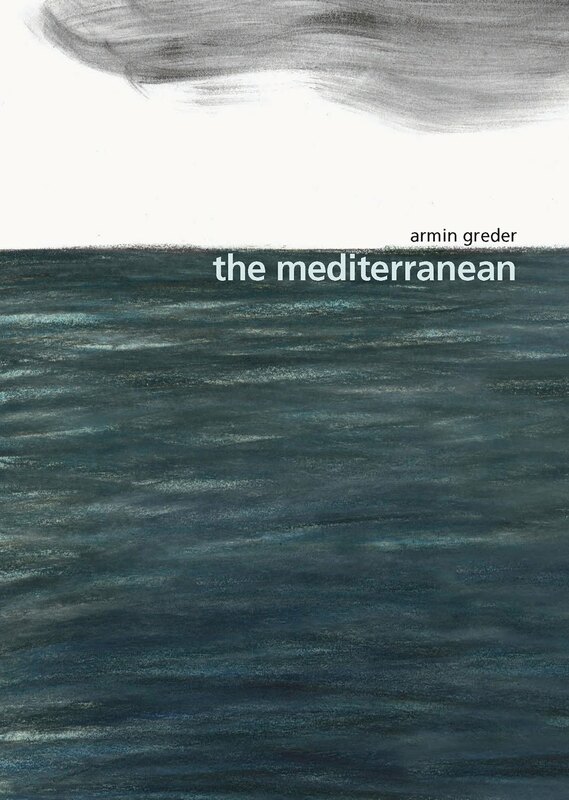 The Mediterranean publishes June 1, 2018 from Allen & Unwin Children's Books.